Seen as the "backbone" of the economy and the key economic sector, the mechanical engineering industry has been still slow to grow over the past years and has yet to fulfil its missions. Facing the threshold of the Fourth Industrial Revolution, many economic sectors of Vietnam have reconsidered their capacity and readiness. For its part, after the review, the mechanical sector found a lot of weaknesses that need to urgently transformational changes in sector-wide administration and address technological and market weaknesses to grow "big". Mr Dao Phan Long, Chairman of the Vietnam Association of Mechanical Industry (VAMI), said, the technological level and production equipment in Vietnam are too backward in the global landscape. Basically, domestic mechanical enterprises of different economic sectors are still working at the level of Industry 2.0 which had been long left behind by industrialised countries. Very few Vietnamese mechanical companies have reached the Industry 3.0 level. According to experts, the first weakness of this sector is market. 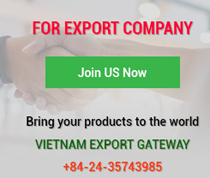 In spite of manufacturing a wide range of products, Vietnam's mechanical engineering industry has to compete fiercely with imported products from rivals powered by modern mechanical industry. Insufficient information hinders it from expanding the market, even in the domestic market. 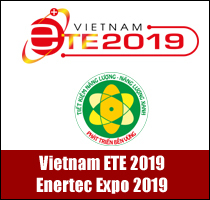 Most obviously, Vietnamese mechanical companies cannot be EPC contractors of steel, chemical and energy investment projects as they lack product quality control system according to international standards. Another weakness is local mechanical companies and products are not very popular to customers. The scientific and technological level is seen as the second typical weakness of the Vietnamese mechanical engineering industry. Mr Pham Tuan Anh, Deputy Director of the Industrial Department under the Ministry of Industry and Trade, said that the mechanical engineering sector has very few inventions and patents registered. The vicious circle of Vietnamese machinery is backward equipment and technology due to slow innovation and transformation fails to meet market demands. This therefore results in slow sales which in turn prevent enterprises from accumulate funds and invest in technological innovation. In addition, technical barriers in the mechanical sector are not strong enough to protect domestic consumers from imported products of inappropriate quality. Domestic manufacturers have to import most raw materials and lack qualified human resources while business associations do not play a significant role in assisting local firms. Mr Le Thuy Trung, Deputy Director of the Department of Industrial Economics under the Ministry of Planning and Investment, said, in carrying out the Development Strategy under Decision 186/2002/QD-TTg of the Prime Minister, the mechanical engineering industry in Vietnam has made many changes in some fields since 2002. However, it met only about 34.5 per cent of the nation's mechanical needs as of 2013 while its target was 45-50 per cent in 2010. The enforcement of mechanical development mechanisms and policies is still inconsistent. State-owned enterprises (SOEs) are slow at innovation while small-scale private enterprises lack interest in investing in the mechanical engineering industry. Statistics from the Ministry of Industry and Trade show that the mechanical engineering industry in Vietnam has achieved certain results. For example, the number of mechanical enterprises increased rapidly, from about 10,000 enterprises in 2010 to more than 21,000 enterprises in 2016, accounting for 28 per cent of total processing and manufacturing enterprises. The sector's export value is on the rise year by year. In 2016, its export turnover reached over US$13 billion, mainly coming from household appliances, automobile and motorcycle spare parts. If iron and steel was included, the value reached over US$16 billion. With a positive view, Deputy Minister of Industry and Trade Do Thang Hai said, many Vietnamese mechanical products have gradually replaced imports. Factory production lines are getting synchronised. Enterprises have mastered some technologies and raised automation rate. Some domestic firms have engaged deeply in supply chains run by FDI enterprises and global supply chains led by multinational corporations. 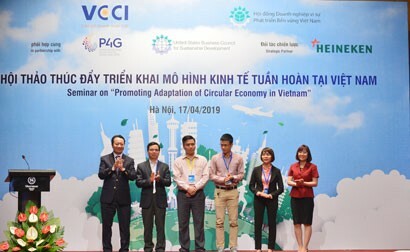 At present, Vietnam's mechanical engineering is concentrated in three sub-sectors, including motorcycle spare parts, home appliances and tools, and automobile and auto parts, accounting for nearly 70 per cent of the total output value of the sector. 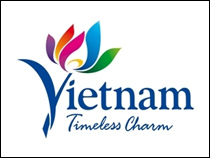 According to the Prime Minister's Decision 319/QD-TTg dated March 15, 2018 approving the Vietnam Mechanical Engineering Development Strategy, Vietnam's mechanical engineering industry will achieve advanced technologies, world-class product quality and engage more deeply into global value chains by 2035. The export value will account for 35 per cent of the sector’s total output in 2020, 40 per cent in 2030 and 45 per cent in 2035. By 2025, the sector will concentrate on developing automobile engineering, tractor engineering, agricultural machine engineering, construction equipment engineering, industrial and electric equipment engineering to meet domestic demands and export to other countries. Basically, mechanical workers are qualified to work in modern manufacturing. According to Mr Dao Phan Long, Chairman of VAMI, to achieve these goals, the strategy needs to be based on calculations and select mechanical products capable of having footing on domestic markets, competing with foreign products to supplement and adjust the list of key products, including manufacturing and assembling automobiles, buses and trucks; manufacture non-standard equipment and steel structures for new industrial construction works; manufacturing anti-submergence equipment, environmental protection treatment equipment, green energy production equipment and some defence products. These mechanical products are largely for public investment. Therefore, we need policies to make products for domestic demand as many countries have done strictly and effectively. He added that the Government needs to reform the sector management nationwide, form a unified management authority and allocate investment resources for mechanical development, issue technical barriers in case of necessity, promulgate production stimulation policies that do not violate free trade commitments and introduce policies to restrict the import of backward technology and equipment in mechanical production. Besides, it is necessary to legislate operations of business associations and sectors to provide legal groundwork for these entities to advise, criticise and propose policies to the Government. Over the past 15 years, assembled mechanical products, steel structures, lifting equipment, and assembled automobiles have been invested much to grow faster in the region. Machine manufacturing has been slowly developing on lack investment. 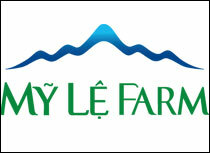 After more than 15 years, Vietnam has not been able to build a new machine manufacturing plant. Deviated investment leads to digressed development, with the core of mechanical engineering leaving undeveloped. The technical level of mechanical engineering is still below average. Embryo and auxiliary industries - two key areas for development - are not well invested. In the domestic market, Vietnam will accelerate national industrialisation and modernisation in the 2018 - 2025 period and necessarily invest in energy, industrial production, construction material, fertiliser, irrigation, marine economy, ground and marine transport, and defence industry. This is a great market opportunity for the Vietnamese mechanical engineering industry to stand up. 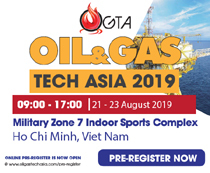 The Vietnamese mechanical engineering industry is fully capable to meet up to 70 per cent of market demand by 2030 if there is a protective hedge or market protection policy. Market protection can be considered prerequisite, especially when protectionism is vital even in developed nations in recent years. For example, without protection, the European steel industry would have gone bankrupt. Because of no proper protection policy, car assembly plants in Australia had to be shut down. In order to meet the domestic market demand of US$350 billion, from now to 2030, the mechanical engineering industry should have a protection mechanism to protect the market conditionally and timely. Mechanical industry has various barriers such as huge fund for initial investment, long turnaround time, slow turnover, advanced technology required, and skilful and professional workers. Mechanical products are not easily distributed and consumed as many other industrial products. To develop the mechanical engineering industry, State role and responsibility are enormous. 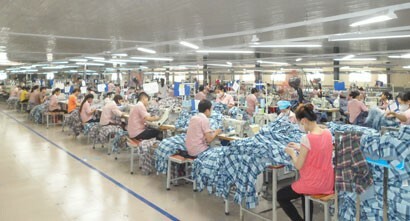 The Government needs to have strategies and policies for development of the mechanical engineering industry, especially key products, in line with Vietnam’s international commitments and have scientific and technological development and human resource training strategies and policies, and closely link academic research and training with social and corporate needs. Besides, mechanical enterprises must restructure operations, renovate management and upgrade technology; have long-term development strategies; actively link with technology research and transfer institutions and with domestic and foreign firms; and participate in global industrial value chains.